During the season of Lent, many Catholic grade school children will be making their first confession. We are most certainly in the midst of a great season of grace – there is cause for much rejoicing here! 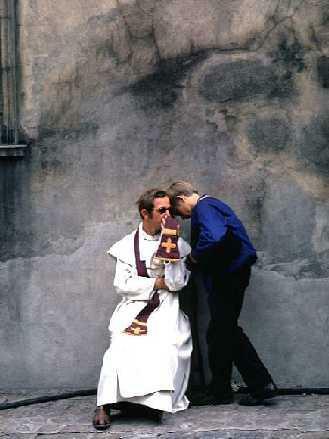 At the same time, there exists a certain degree of frivolity with which many people think of first confessions for children – “After all,” they say, “what sins can a seven year old commit?” Thus, first confession is often presented merely as a moral lesson in growing up, or perhaps merely as a hoop to jump through on the way to first communion. However, if first confession is not really about forgiving sin, and if these children do not really need to be reconciled to God; then we ought to say (in the style of Flannery O’Connor), “The heck with it.” Thus, it will be good to consider not merely whether a child of the age of reason can sin, but even whether such a child can commit a mortal sin. Do such children really have the ability to direct their heart and mind either for or against God? St. Alphonsus’ Way of the Cross could well be the most popular form of the Stations of the Cross currently in use. It may be that the Stations written by St. Alphonsus are nearly as popular as every other set of Stations taken together! 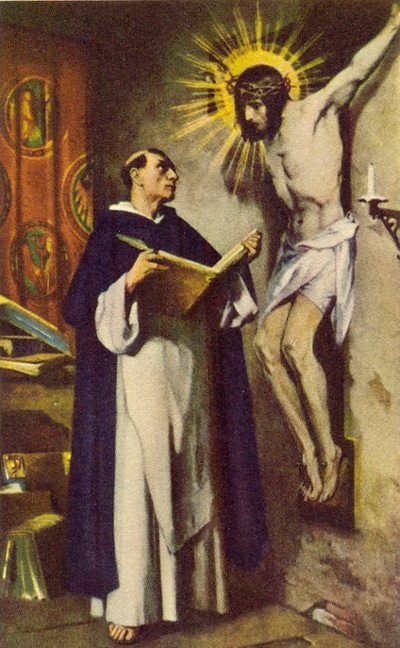 Nevertheless, though The Way of the Cross which St. Alphonsus wrote is extremely popular, it may be the case that many would like to learn how better to pray these Stations with St. Alponsus. To this end, we will consider the Stations of St. Alphonsus in several successive posts over the next two weeks. 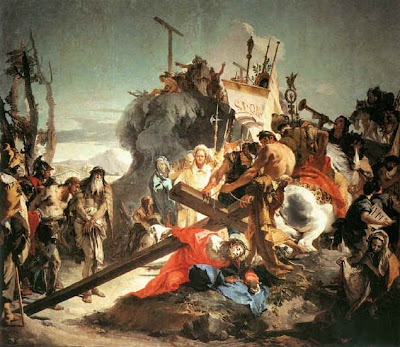 In this first article, we will take a more general look at the structure and characteristics of St. Alphonsus’ Way of the Cross, pointing out the elements which are most essential to St. Alphonsus’ understanding of prayer and the spiritual life. In subsequent articles, we will consider the particular Stations themselves. With these words, Christ our Savior promises the gift of the indwelling of the Most Holy Trinity. The Holy Spirit is often compared to fire (as on Pentacost), but he may likewise be indented through the metaphor of water (especially under the form of rain). Here, the Good Lord declares that the gift of grace is not merely a separated gift – a gift separated or distinct from the Holy Trinity – but, rather, this grace is a participation in the very life of the Almighty. St. John of the Cross wrote a poem in which he meditated upon the mystery of the Trinity under the metaphor of a spring of water. Our Savior was truly tired, hungry, and thirsty as he sat upon the well of Jacob. The Gospel narrative makes it clear that this exhaustion resulted from bodily weakness – for Christ truly did suffer in his body. However, we may question whether, beyond this bodily hunger and thirst, there may have also been a spiritual hunger in Christ. 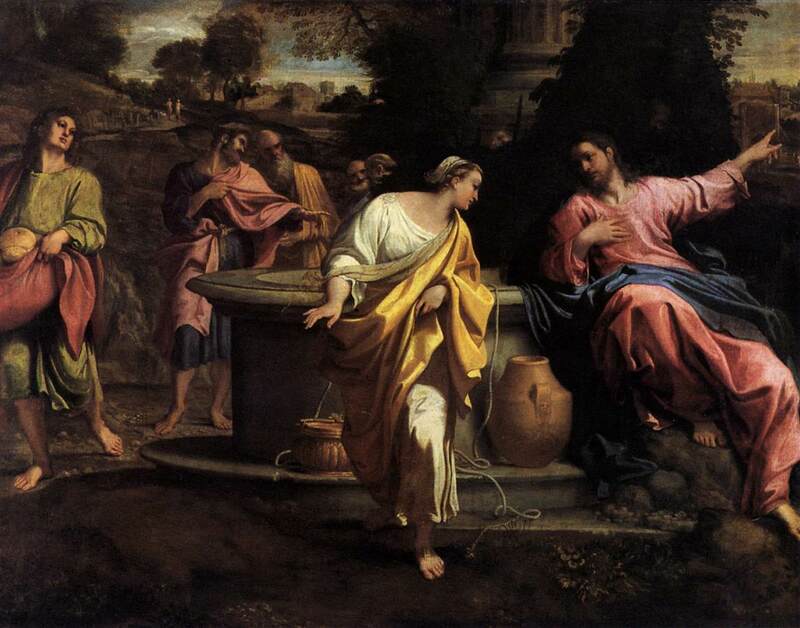 Did the Lord “thirst” spiritually? And, if he did suffer this spiritual hunger and thirst, to what was it directed? For what was our Lord thirsting when he said to the Samaritan woman, Give me to drink? Moreover, we must carefully consider (maintaining all piety and reverence), if there be any sense in which Christ our God suffers thirst and hunger according to his divine nature. Is the Eternal Word thirsting? Does the Son of the Father hunger? And, if so, what is his food and drink? 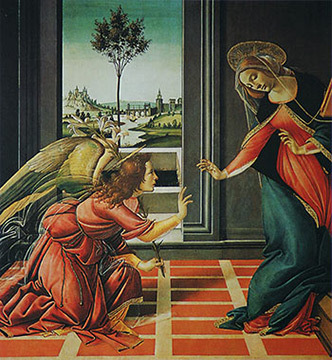 When we examine honestly the text of the Annunciation (Luke 1:26-38), it is clear that the Blessed Virgin Mary is not merely hesitant or cautious when receiving the Angelic Salutation, but indeed she is truly confused and even perplexed. Something of the words of St. Gabriel did not seem to make sense to our Lady. We ought not to be so impious as to claim that the Mother of God actually doubted the Angel’s words, but intellectual honesty requires us to admit that there was some degree of puzzlement and even bewilderment in the Immaculate Heart. This confusion witnesses to the purity of the Blessed Virgin. If this is fasting, bring on almsgiving! 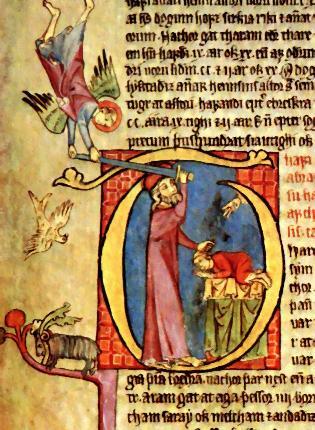 While it was meant only as a simple joke at the time, this little jab does seem to pierce to the heart of a relatively serious problem in the modern Church – What is the connection between fasting and almsgiving? And, If we fail to fast with true zeal, will we likewise lose sight of the radical demands of generous giving? On the feast of St. Benedict, who both promoted fasting and also wisely adapted it to fit the needs of his time and place, it will be good for us to consider how a return to a more zealous form of fasting may bring the Christian faithful to a renewed commitment to the giving of alms. The Just Man is often presented as a model for fathers – indeed, he is a patron for all fathers. He is a model husband and the protector of virgins. 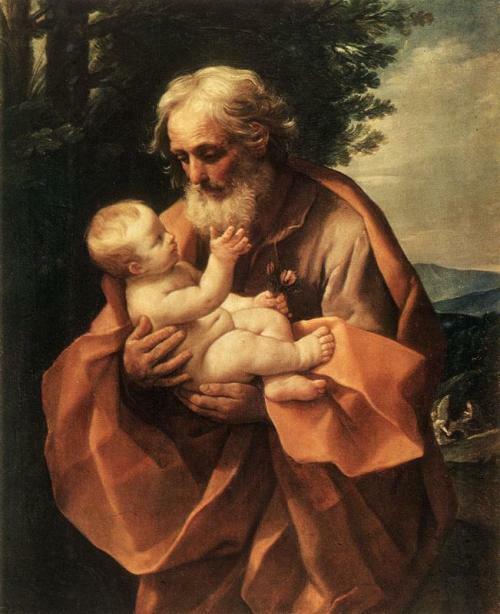 St. Joseph is the Worker, indicating the dignity of human labor (a dignity which is threatened by socialism in all its forms). Perhaps we may take a moment today to consider how St. Joseph is a model for priests – in particular, the Spouse of the Blessed Virgin Mary shows priests how to celebrate the Sacrifice of the Mass with dignity, reverence, and a manly devotion. The feminization of the Holy Mass is a serious problem in the modern Church. It is not that the Liturgy must be utterly masculine, especially if this be understood in such a way as to exclude women from participating (remembering, of course, that the truest and most active participation is spiritual and internal). Nevertheless, there is a growing recognition of the fact that the sanctuary is becoming a place where men (and boys) are losing their manhood and becoming more like women – this may then have the odd counter-effect of making some women act like men, but that is a problem for another article. And behold Moses and Elijah appeared to them, conversing with him. We have already taken the opportunity – here, here and here – to consider the mystery of the Transfiguration insofar as it relates to Christ in himself. Already once we have considered the state of Moses and Elijah in their appearance. However, we have yet to tackle that most interesting question of why it was Moses and Elijah that appeared with our Lord, rather than (for example) Abraham or Isaiah. As we will see, the answer to this question will greatly aid us in entering more deeply into the mystery of Lent. It is good to recognize that there are several reasons why we might have expected others than these two. Abraham had received the promise of a Messiah and is our father in faith. 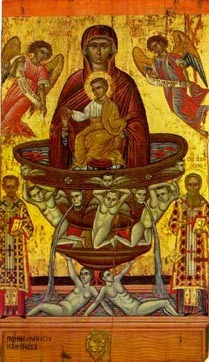 Isaiah, on the other hand, prophesied the virginal conception and birth of the Christ; as well as his passion and death. It could have been David, who wrote of the Savior in his Psalms; or, perhaps even Adam, who would have directed us more immediately to the New Man. Or it may have been Jonah, the only prophet to whom Jesus directly compares himself. Jeremiah’s Lamentations are the very words of our Savior. No, it was none of these, but only Moses and Elijah – the lawgiver and the prophet. These two would see the Lord’s glory, even before the Resurrection; for their appearance indicates that our Savior must suffer greatly and be crucified. Many people wonder why it is that Catholics cannot eat meat on Fridays of Lent. We also mention that few understand why the Church asks that we abstain from meat on all Fridays throughout the year (though this can be substituted by another fast if the bishops allow). Certainly, it would seem to most people that giving up meat on a Friday would be pointless, if we then ate a nice fish dinner and had a glass of wine. There is however an inner-logic to the Church’s law. 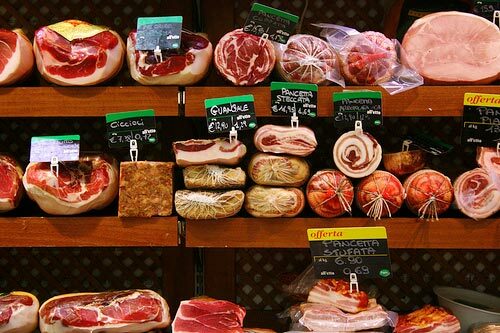 There is a reason why we fast from meat and not from fish or wine. If only more Catholics (lay and clergy alike) knew this reasoning, the Lenten Fast would be much more profitable. It is well known that, according to popular Church usage, the difference between fasting and abstinence is that a fast-day indicates a restriction of the quantity of food (currently, one large meal and two small meals) while an abstinence-day indicates a restriction of the quality of food (today, no meat). This is summed up well by the Catholic Encyclopedia. Nevertheless, it will be good for us to consider that there is a deeper distinction between fasting and abstinence – one rooted in moral theology. A consideration of this ontological and moral difference will help us to enter more profoundly into the mystery of Lent. 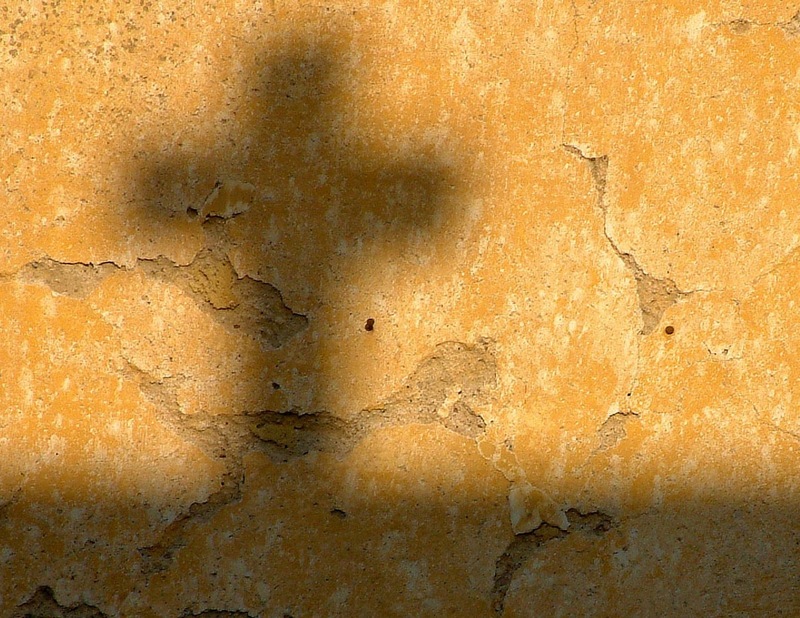 Does Lent begin on Wednesday or Sunday? 1st Sunday of Lent, Missa "Ivocabit me"
While it is certainly true that something of Lent begins on Ash Wednesday, we also must admit that there is a certain instinct which tells us the Lent properly begins on the First Sunday – since the Seasons of the Church’s Liturgical Year are always initiated by the Sunday Liturgy. What of Lent, then, begins on Ash Wednesday; and what begins on the First Sunday? It would seem that, if a man could not possibly sin, then he could not be tempted. Indeed, in our fallen condition, we experience temptation as a real choice – when tempted, we really could fall. Moreover, we know that those who are so conformed to God as to be entirely freed from the possibility of sin – we refer to the saints and angels in heaven – these are also freed from all temptations. Yet, when it comes to the person of Christ, a doubt arises. 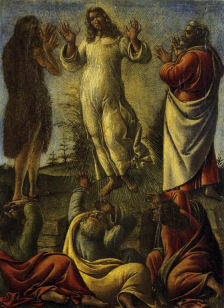 We are inclined to think that Christ could not sin – since, of course, he is fully God. 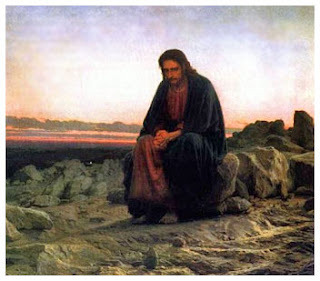 Yet, on the other hand, we know that Jesus was truly and really tempted by Satan, when he had fasted in the desert. 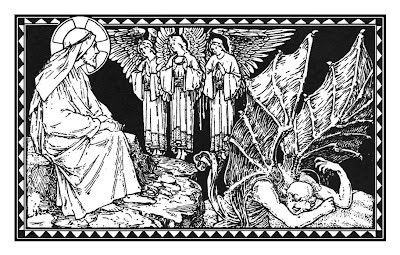 Thus, the question: Could Christ have sinned when tempted by Satan? Moreover, if the Lord was impeccable (i.e. could not sin), how can we say he was truly tempted? 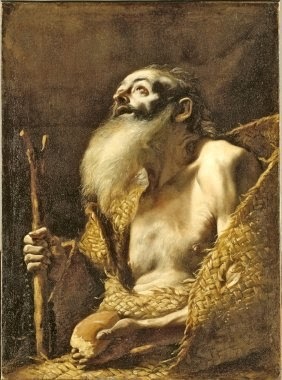 There are some in the Church who would opine that one need not necessarily give something up during Lent, but instead it may be beneficial to add something – usually it is recommended to add either some act of charity for the poor (almsgiving) or to take more time for reading the Bible (prayer). It seems that such persons have scarcely realized that the practices of Lent are three: prayer, fasting, and almsgiving. It will not do simply to practice one of the three, leaving the others aside. Indeed, it needs be stressed that, of the three practices, fasting is the most important to consider – for it is the fast which most characterizes the season of Lent. Moreover, while the giving of alms and prayer are necessary always, the Lenten Fast is practiced only for these forty days: How great a folly it would be to miss it! First, we consider the words of St. John Chrysostom, who praised the fact that so many of the early Christian martyrs were women. Notice how he writes of these martyrs as second Eve's. "I feel an indescribable pleasure in reading the 'Acts of the Martyrs'; but when the martyr is a woman, my enthusiasm is doubled. For the frailer the instrument, the greater is the grace, the brighter the trophy, the grander the victory; and this, not because of her weakness, but because the devil is conquered by her, by whom he once conquered us. He conquered by a woman, and now a woman conquers him. She that was once his weapon, is now his destroyer, brave and invincible. That first one sinned, and died; this one died that she might not sin. Eve was flushed by a lying promise, and broke the law of God; our heroine disdained to live, when her living was to depend on her breaking her faith to Him who was her dearest Lord. What excuse, after this, for men, if they be soft and cowards? Can they hope for pardon, when women fought the holy battle with such brave, and manly, and generous hearts?" When we consider the words of Christ, it appears that even sinners can work miracles. Yet, how can this be? Miracles are worked through prayers, and God does not hear the prayers of sinners. Here we will offer a short reflection on this one aspect of the Sunday Gospel, relying on St. Thomas as our teacher and guide (cf. Vatican II, Optatum Totius 16). 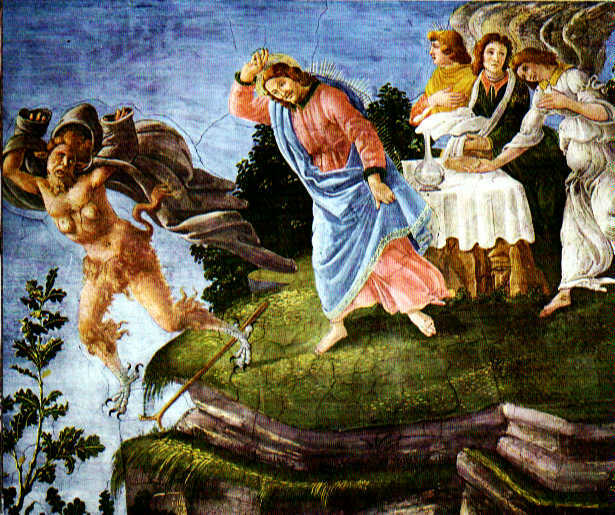 In the recent debate about lying – which began to rage on the Catholic blogosphere less than a month ago, but which has already lost all its momentum (a testament to human fickleness) – several authors, some of whom are even recognized as “theologians,” appealed to Sacred Scripture either to claim that lies are not always wrong or that what the Catechism (following many Popes, theologians, and saints) says is a lie is not necessarily a lie. Such persons appealed most often to various difficult passages in which it seems that the Old Testament saints – notably, Abraham, Jacob, Rahab, and Judith, as well as the midwives of Egypt – lied. We have already discussed these principle stories. They certainly offer no justification for lying. Some, however, were not content merely to point to the patriarchs and saints of old, but went so far as to impute lying and deception to God himself. The gross impiety of such a claim need hardly be mentioned, for God “can neither deceive nor be deceived” (Dei Filius 3, CCC 156). The very thought of accusing Truth himself of uttering falsehood befits not the mind of a Christian. These persons pointed, most often, to two “cases” in which it seemed to them that God had lied: First, they bring forward the testing of Abraham (Genesis 22:1-14), for Isaac was not to be sacrificed as it seems God said he would be; then, they turn to Christ’s claim that none know the day or the hour of the Second Coming not even the Son (Mark 13:32), for our Savior most certainly did and does know the exact time of the Parousia. 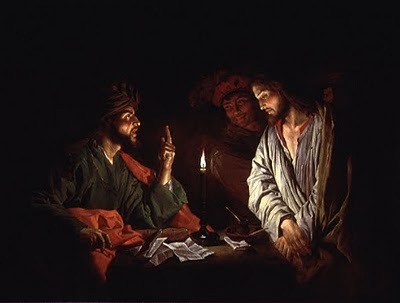 In answering the objections, we will see that there is a marvelous union between these two texts – one which will only be gleaned through reading the Scriptures as a Catholic, as opposed to plucking out “proof-texts” simply to win an argument. 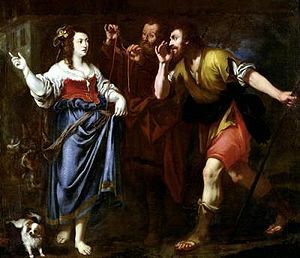 Abraham, Jacob, Rahab, and Judith: Biblical liars? Following the course of our previous article, we will here discuss the “cases” of Biblical lying which some have claimed either to justify the occasion use of lies or to prove that what the Catechism says is a lie is not really a lie. We will discuss several of the “cases” which have been brought forward by others in order to justify lying. First discussing the cases which involve patriarchs, who are examples of perfect virtue, we will then turn to those cases which involve other biblical figures who seem to have lied. It is worth noting that there seems to be a great inconsistency in the reasoning of those who have referred to these biblical cases as a defense of lying: For, while they are willing to claim that lying is acceptable in certain circumstances because (as they claim) Abraham, Jacob, and others lied, they do not then proceed to claim that infanticide is acceptable in certain circumstances since it was practiced by the Israelites when they defeated their enemies and was prayed for by David in the 136th Psalm: Blessed be he that shall take and dash they little ones against the rock. This selective interpretation of the biblical text suggests that such persons are twisting the Scriptures to fit their own argument.